I first met Madeline Sharples at a writing workshop at Esalen. I was immediately drawn to her calm, empathetic manner, her beauty, and her poems. We quickly learned that we shared some important life experiences – we were both grieving mothers and both of us were writing about our children. 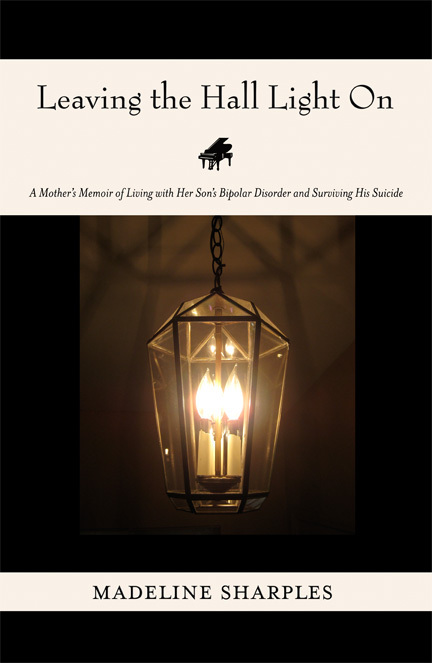 Madeline’s memoir, Leaving the Hall Light On: A Mother’s Memoir of Living with her Son’s Bipolar Disorder and Surviving His Suicide, first appeared in hardback in 2010. It was recently reissued as an e-book and paperback by Dream of Things, a small press based near Chicago. Madeline is a tireless online journalist and blogger, and focuses her energies on raising awareness of mental illness and speaking out to prevent suicide. She is currently on a blog tour to promote her book and I am so pleased to host her reflections on gratitude. The holiday season has begun and once again I view it as bittersweet. The holidays bring up too many reminders of my son Paul who died just three months shy of his 28th birthday in 1999. Since Paul was born on New Year’s Eve in 1971, the holidays are difficult for our family. I also view the holiday season with gratitude. Besides my continued good health, the love and support of so many family members and friends, and my ability to live a productive life, that I can even think in terms of being grateful is a miracle. However, as bad as life was after Paul died, and as much as I continue to miss him, I have found out that with such a tragedy come unexpected gifts. Paul’s death has made me a stronger person, physically and emotionally. It was as if I accomplished getting stronger through brute force. I met and interacted with people who had been through similar experiences; I took writing classes and workshops; I went back to work outside my home with my usual verve to compete on the job and to excel in my work; I embarked on a daily exercise program. I was obsessively persistent in dealing with my grief and becoming a productive person again. I have reinvented myself as a poet and a creative writer. Four months after Paul died I found that poems just came spontaneously out of my pen. Though I write prose more than poetry, poetry is my love. My poetry writing has become my companion and my savior – something I can turn to at any time, or in any place. I also wrote my book, Leaving the Hall Light On, with the goal of helping others who have experienced a loss like mine, I have a new writing career as a web journalist, and I’m busy writing a novel. I have been able to fulfill my life-long dream to work as a writer. My husband and I have a stronger marriage probably because of a combination of my drive to deal with the pain, suffering, and loss, and Bob’s willingness to wait until I got better. We realized early on that our grieving processes were different, so we were patient, we gave each other a lot of space, and we respected each other. We supported each other so that we could grieve in our own ways. Plus, we’ve worked hard to stay healthy so that we can still travel and enjoy many diversions such as movies, theater, and opera and long walks at the beach near our home. I have a terrific bond with my surviving son Ben and his new wife. Yes, I’m proud to say I’m a new mother-in-law. My son and his wife live close by and we spend quite a bit of time with them. That he and Marissa wanted to have their wedding in our family home meant so much to me. That created a very special bond between us and provided a very happy memory to replace the bad memories of the past years. I’ve also embarked on a new mission in life – to erase the stigma of mental illness and prevent suicide, in hopes of saving lives through my writing and volunteer work. My next project is to offer the wonderful jazz music our son composed and performed as a CD to raise money for charities that share my mission. In this way, I’ll be able to perpetuate his memory and hopefully save the lives of people who suffer as Paul did. 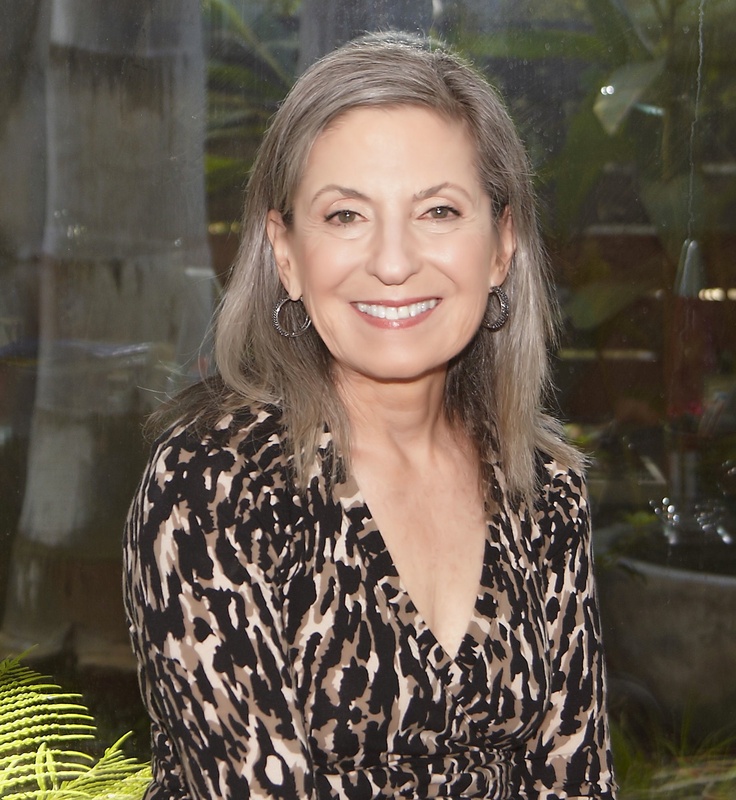 With patience and hard work, I discovered I could go beyond surviving and actually thrive – and so these bittersweet holidays also fill my heart with gratitude that I have gone on to be a writer, a mother and wife, and a survivor. This entry was posted on November 19, 2012 at 8:50 PM and is filed under children, Giving back, grief, Parenting, recovery, resilience, Women, Writing. You can follow any responses to this entry through the RSS 2.0 feed. You can leave a response, or trackback from your own site. It’s a heartwarming post that gives hope after such a tragic event… I send you and her virtual hugs. I have a friend who lost a son and is on a mission to eradicate the stigma attached to suicide. I interviewed her on my blog… If you’d like to reach out/connect, let me know.